There are many reasons why patients come from all over the world to seek out the expertise of Dr. Mandel when it comes to laser vision correction surgery. Expertise. 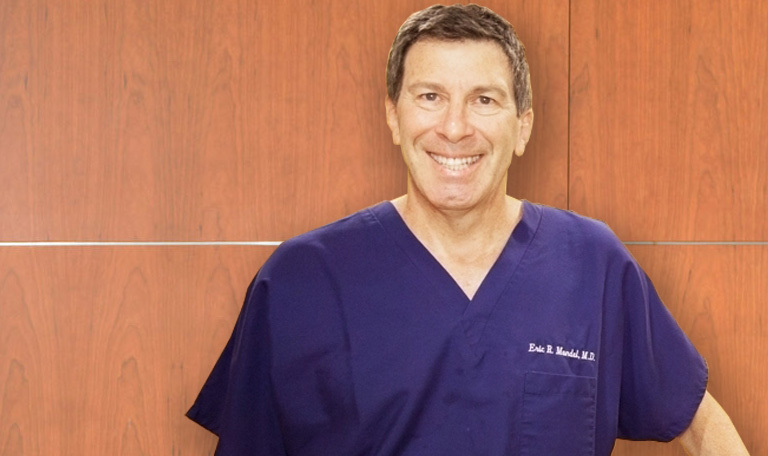 Dr. Mandel is a corneal specialist with more than 30 years of experience in vision correction surgery. Not all LASIK surgeons are corneal specialists. The corneal flap created in LASIK is thinner than a human hair. The manipulation of this flap is best handled by a surgeon who specializes in this unique part of the eye. Unparalleled Experience. Dr. Mandel has performed thousands of LASIK and PRK laser vision correction surgeries. Singular Focus. Dr. Mandel’s practice focus is exclusively laser vision correction. Dr. Mandel’s research in laser vision correction began 30 years ago at Columbia and then continued at Harvard. Personalized Care. Dr. Mandel personally counsels you before during and after LASIK and PRK surgery. There are subtle changes that take place during the healing process that need to be carefully monitored so that appropriate changes in the post-operative regimen can be made. LASIK and PRK are surgeon dependent procedures. Yes, superior equipment is also important and you can be confident that Dr. Mandel utilizes the most advanced technologies available for your LASIK and PRK laser eye surgery. However, the best equipment in the world, without the right surgeon, reduces your chances for success. Trust your eyes to Dr. Mandel, the only exclusive laser vision correction surgeon named one of America’s Top Doctors by Castle Connolly for 13 consecutive years. To read more about what sets Mandel Vision apart from other laser vision correction centers, click here. We want to hear from you! To comment on this blog post, click here, sign in on Facebook, and tell us what you think.